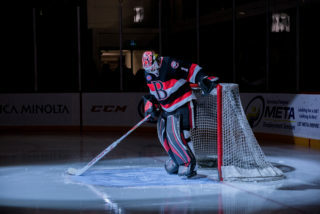 The Belleville Senators make their long-awaited return home as they get set for their first regular season contest at CAA Arena. 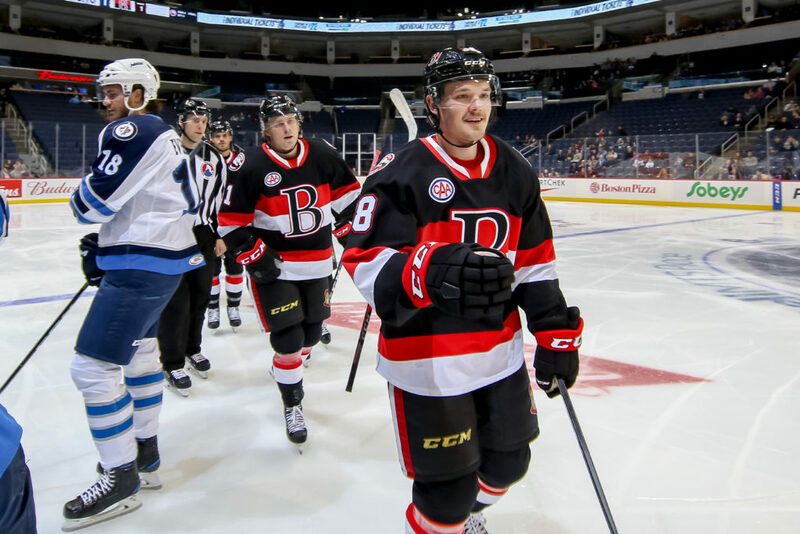 Belleville (1-2-0-0) enters Wednesday’s game on the back of its first win of the season after a convincing 6-2 victory over Manitoba Saturday night. Their opposition for tonight, the Binghamton Devils (3-1-0-0), are atop the North Division, albeit in a four-way tie. Belleville struggled out of the gate on the man advantage through its first two games before scoring three power play goals Saturday taking their season percentage to 18.8. Binghamton have scored just two of its 16 power play opportunities. 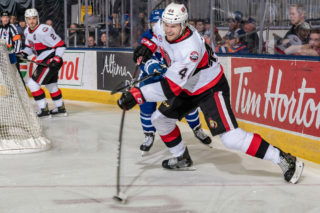 The Senators received some help Tuesday as Ottawa reassigned forward Nick Paul and defenceman Christian Jaros to Belleville. 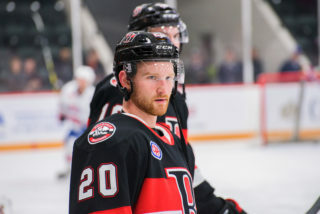 Max Lajoie remains with Ottawa after his torrid start to the season although he hasn’t technically been with Belleville at any point this season. 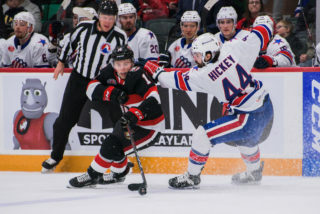 In eight games last season between the two North Division rivals, the Senators went 4-4 with three of those wins coming at home. 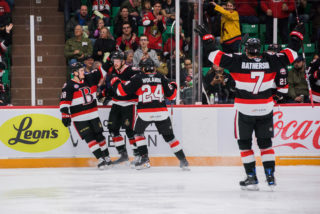 Sens rookie forward Drake Batherson had a night to remember Saturday as he not only scored his first professional goal but also registered four points, tying the Senators’ franchise record. 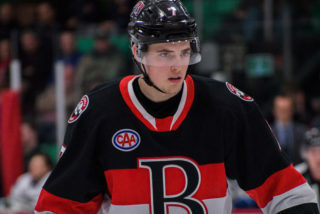 In three games this season, Batherson has two goals and three assists. In Binghamton, a rookie leads them in scoring too as center Brett Seney has tallied five assists through the first four games of the year. Seney did see some action with Binghamton last year, scoring eight points (three goals) in 12 games. Wednesday’s game starts at 7pm and can be seen on AHLTV. Fans can also watch tonight’s contest at Shoeless Joe’s in Belleville. Fans are reminded that Fan Festival starts at 4pm outside CAA Arena in Lot A that will feature a wide variety of fun and games. Before puck drop there will also be a special pre-game laser show.